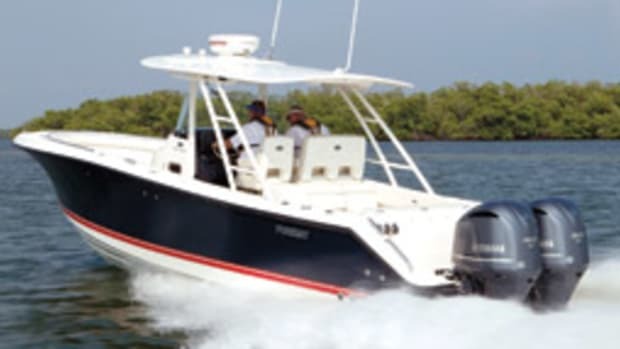 Pursuit has introduced its sixth boat in the last 15 months with the Offshore 385, which replaces the OS 375 as the builder’s flagship. 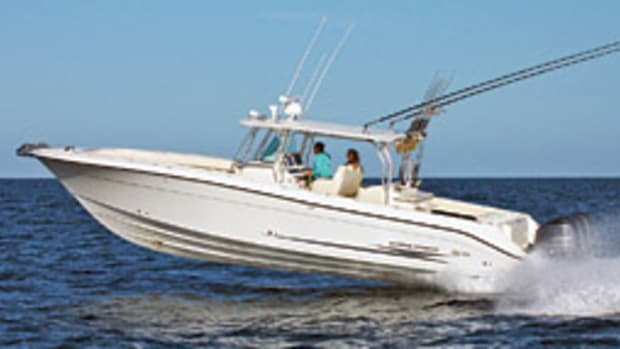 The OS 385, which measures 39 feet, 2 inches with a beam of 13 feet, rides the same modified-vee hull (18-degree transom deadrise) as its predecessor, but Pursuit has given it a new deck, superstructure and interior, says marketing manager David Glenn. 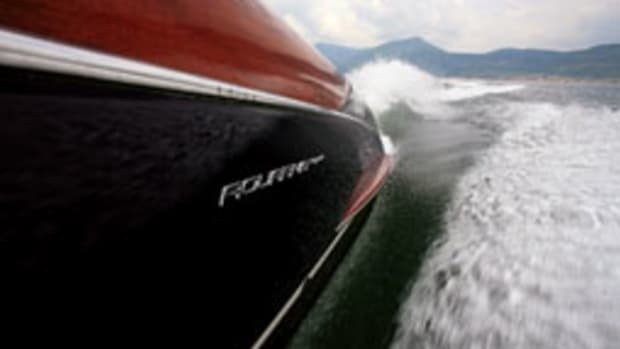 “This boat gives consumers some choices they didn’t have before in the interior, the hardtop design and the upper helm station control setup,” he says. 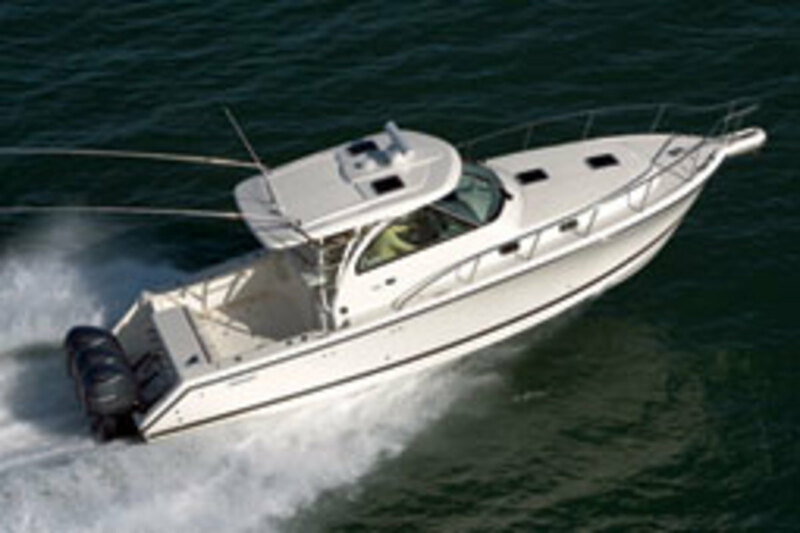 Pursuit engineered the hardtop to support an optional factory-built tower with controls. Below, the lighter woods make the cabin feel bigger, and the Fort Pierce, Fla., builder now offers an electrically actuated forward dinette table. 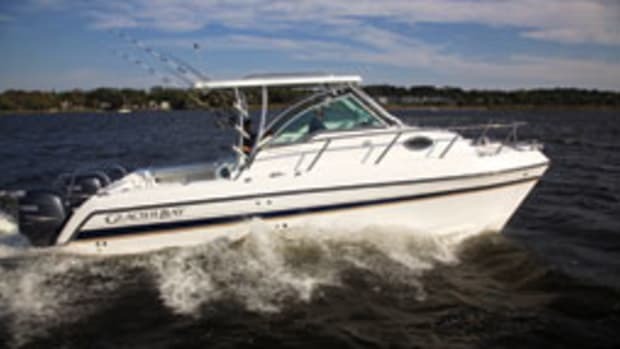 “As it’s lowered and the filler cushions are introduced, it becomes a berth,” Glenn says. 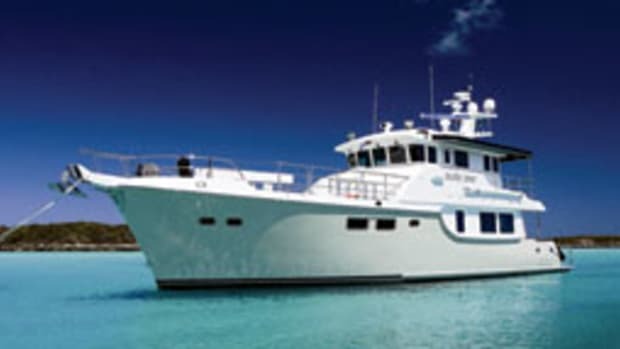 The galley is to port and the starboard-side head includes a separate shower. 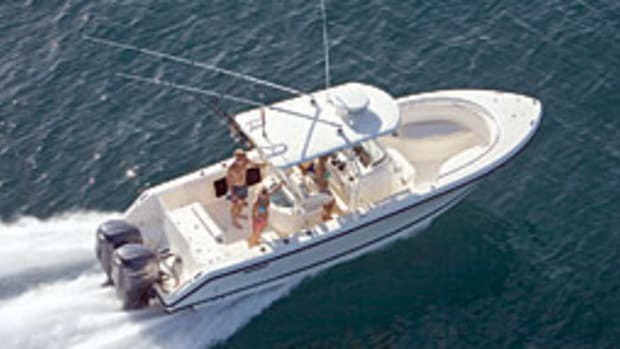 The aft cabin can sleep two adults. 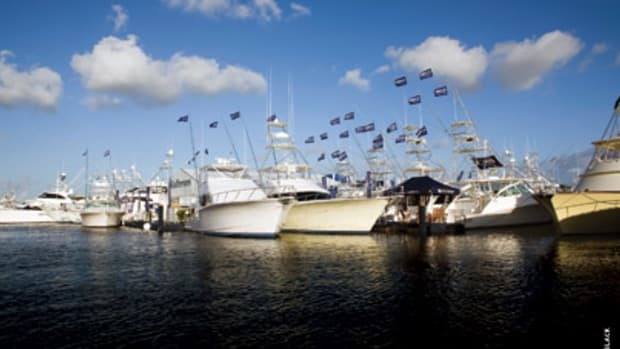 Triple 350-hp Yamaha 4-strokes powered the OS 385 on display at the Fort Lauderdale International Boat Show in October. She gets about 1 mpg at 34 mph, with a range of more than 300 miles, Glenn says. Top speed is 54 mph. 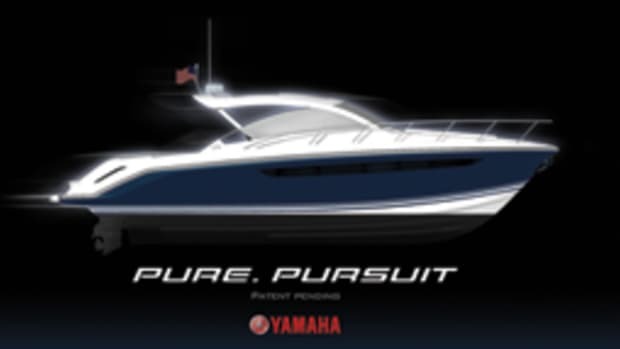 Click here to find more Pursuit boats.